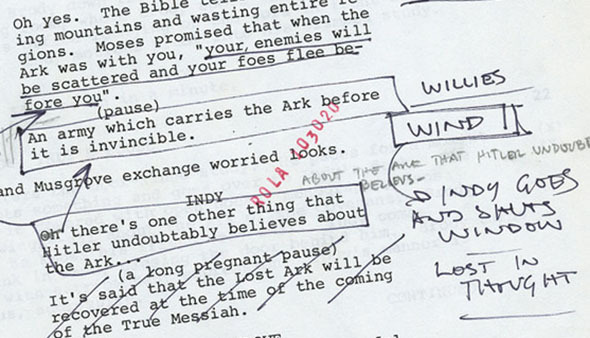 Notes range from single words to complete pages of writing and cover all aspects of the film making process, ranging from dialogue alterations and questions about the plot to suggestions and perspectives used to create the iconic character of “Indiana Jones”. Samtliga tillgängliga bilder från manuskriptet återfinns i länken ovan. Intressant, om än inte särskilt givande alla gånger.